Down by 15 at the half, Norfolk State came roaring back against North Carolina A&T on Thursday afternoon at the Corbett Sports Center. But just when it seemed NSU was ready to pull off a stunner, the Aggies had one last gasp. This is the fifth team of the new one-and-done era for Mike Krzyzewski, dating back to the 2013-2014 team led by Jabari Parker. The one-and-dones have won one national title, in 2015, lost one NCAA Tournament opener, one second-round game and one Sweet Sixteen. The George Mason University men’s basketball program has released its 2017-18 conference schedule. William & Mary head men’s basketball coach Tony Shaver announced the program’s non-conference schedule for the 2017-18 season on Thursday. The William & Mary men’s basketball team closed out its Jamaican trip with a perfect 3-0 record following a 71-47 win over the Minto 79ers. The William & Mary men’s basketball team used its 3-point arsenal to bounce the Jamaican Select Team, 98-53, on Tuesday. William & Mary raced out to a 16-0 lead and never looked back in a 103-59 victory over the Jamaican Under-21 National Team. The William & Mary men’s basketball team is set to take off on its international trip to Jamaica on Saturday morning. William & Mary head men’s basketball coach Tony Shaver announced the addition of Cole Harrison as a graduate transfer for the 2017-18 season. The George Mason University basketball program has announced its 2017-18 non-conference schedule. An impressive opening round boosted George Mason golfer Eric Edwards to a strong finish at a U.S. Amateur sectional qualifier. When Bridget O’Donnell arrived at George Mason three years ago, playing professional basketball couldn’t have been further from her mind. George Mason rising junior guard Jaire Grayer grew up with no shortage of basketball mentors in his hometown of Flint, Michigan. Construction of the dedicated George Mason University Basketball Practice Facility commenced on June 1. 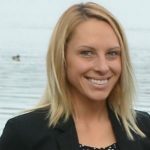 Bridgewater College AD Curt Kendall announced the hiring of Sarah Gaffney as the new coach for the women’s basketball program. Richmond used a 13-point run to open the fourth quarter and secure a 69-63 victory over the Swords Thunder in exhibition action. George Mason will head to Southwest Florida for Thanksgiving break in November to participate in the 2016 Gulf Coast Showcase. The Atlantic 10 Conference has approved an extension for the Richmond Coliseum to host the 2017 and 2018 A-10 Women’s Basketball Championships. Justin Bieber desperately wants to convince us that The Biebs can play basketball. You can tell how desperate when you watch this video. Former Richmond forward Justin Harper has signed a contract with the Detroit Pistons. Harper averaged 14.8 points per game in the NBA D-League this season. Bridgewater College turned in a dominant second-half performance Tuesday to defeat Virginia Wesleyan College, 77-58, in a key ODAC contest. 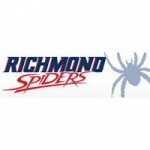 Toughness and fight were on display from Richmond on Saturday as the Spiders earned their third straight victory with a 71-67 home victory over Fordham. 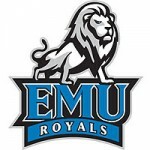 EMU has played in some classic basketball games over the past week, and Tuesday night at Randolph-Macon was no different. Fishburne Military School added an away game to its basketball schedule, but it’s not all that far away, in the sense of awayness. Virginia Class of 2016 basketball recruits Kyle Guy, DeAndre Hunter and Ty Jerome have been nominated for the 2016 McDonald’s All-American Game. Oakland coach Greg Kampe knows as well as anybody how Virginia coach Tony Bennett beats you. The Dallas Mavericks have reassigned UVA alum Justin Anderson to the Texas Legends of the NBA Development League. Waynesboro junior Kian Tate returned to the starting lineup on Tuesday night against the visiting Eagles from Covenant, and led Fishburne to a 56-50 victory. The Caissons fought hard, but the shots just would not fall on Tuesday as Eastern Mennonite was able to take the conference opener from Fishburne, 60-51. The Virginia women’s basketball team will open the 2015-16 season on Friday, Nov. 13 at 6:30 p.m. Central Time (7:30 p.m. ET), playing at Middle Tennessee in Murfreesboro, Tenn. First-year head coach Dave Paulsen has announced Jaire Grayer (Flint, Mich./IMG Academy) and Daniel Relvao (Coimbra, Portugal/Mountain Mission) have joined the George Mason men’s basketball team for the 2015-16 season. The Greenbrier announced this week that the New Orleans Pelicans will hold their 2015 Training Camp at America’s Resort. Eammon Brennan at ESPN has UVA basketball ranked fourth in his latest preseason Top 25, so maybe the conventional wisdom about the Cavs is starting to come around to where it should be. In a career of firsts, Old Dominion University Lady Monarch great Nancy Lieberman hit another milestone today as the NBA’s Sacramento Kings officially announced she was joining the team as an assistant coach. Wisconsin basketball coach Bo Ryan’s announcement that he will retire in 2016 had UVA fans worried. There’s less reason to worry now. Former William and Mary men’s basketball standout Marcus Thornton begins his career with the Boston Celtics, competing in the NBA Summer League. Thornton and the Celtics take part in both the Utah and Las Vegas Summer Leagues, starting on Monday, July 6. Four teams that competed in the 2015 postseason, including five 20-plus win teams, highlight the non-conference schedule for the Old Dominion women’s basketball team. 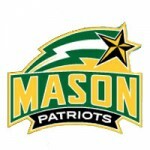 First-year head George Mason basketball coach Dave Paulsen announced the addition of four newcomers to the Patriots roster this fall. James Madison basketball coach Matt Brady announced the signing of Shakir Brown to a National Letter of Intent for the 2015-16 season. 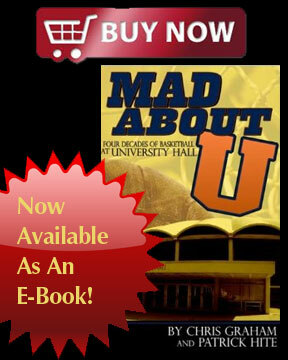 He will have two years of eligibility following two years at the junior college level. Cleveland finished off a four-game sweep of the #1 seed Atlanta Hawks in the Eastern Conference Finals with a blowout win on Tuesday night. 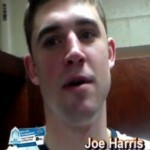 It was such a blowout that little-used rookie Joe Harris got in with six minutes to go, enough time for the UVA alum to score seven points and dish out an assist while running the offense at the point. It is never too soon for a look back at one of the more memorable New York Life ACC Tournaments. 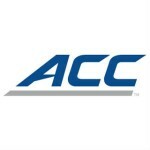 “Bringing Your A Game: The 2015 New York Life ACC Tournament” documents this year’s historic event in Greensboro, which featured the first-ever Tuesday games, a Saturday night championship game for the first time since 1981, and the first-ever championship trophy for the Fighting Irish of Notre Dame. Richmond men’s basketball will be competing in the 15th annual Continental Tire Las Vegas Invitational, the tournament group announced today. 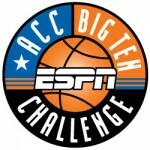 Defending Division I men’s college basketball national champion Duke as well as 2015 Final Four participants Wisconsin and Michigan State are among the teams in this season’s 17th annual Big Ten/ACC Challenge from November 30 to December 2. 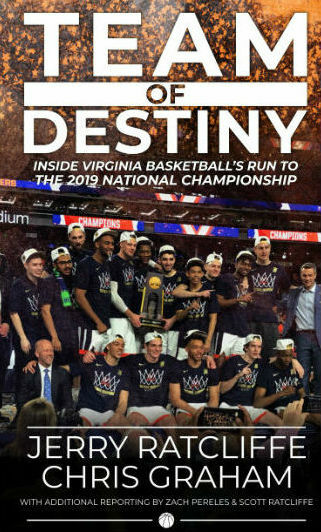 UVA basketball’s Tony Bennett, Malcolm Brogdon (Atlanta, Ga.) and Justin Anderson (Montross, Va.) were honored by the Virginia Sports Information Directors Association (VaSID) on Tuesday (May 12).